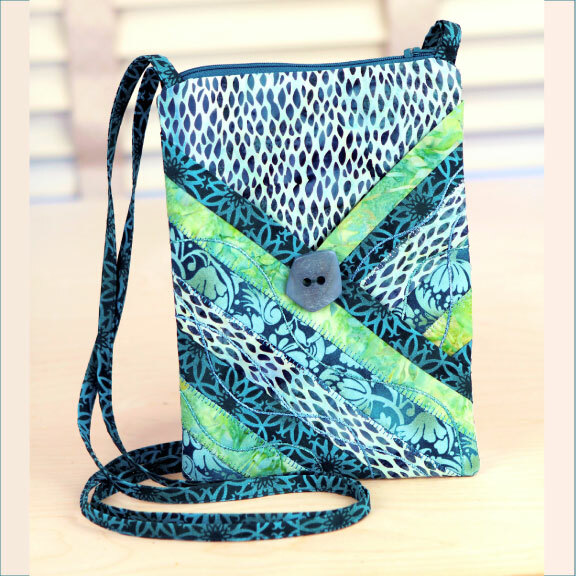 Three projects featuring criss cross pockets! 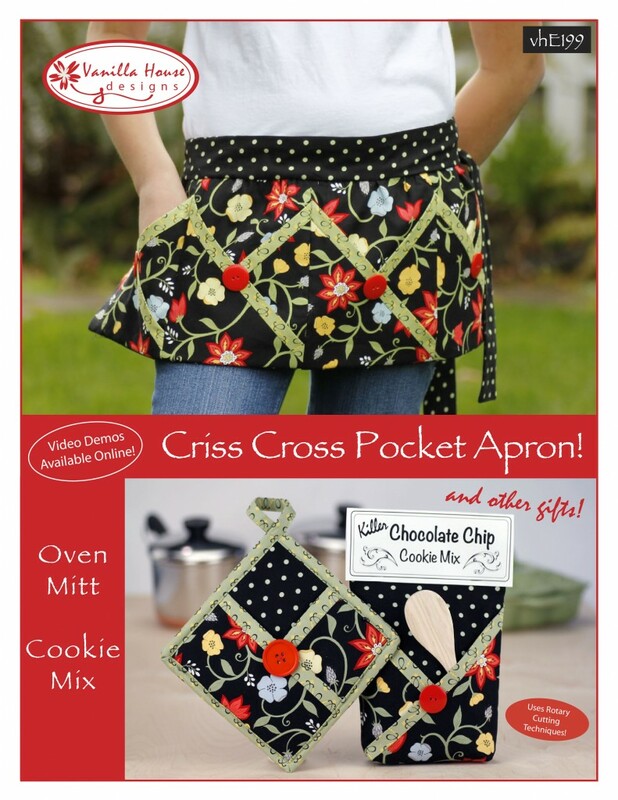 A darling utility apron, a handy oven mitt, and a delicious Chocolate Chip Cookie-Mix-in-a-Bag! All great for gift-giving. This pattern has four online video demos available. This pattern is available as a downloadable PDF ePattern, or as a paper copy that we can mail to you. 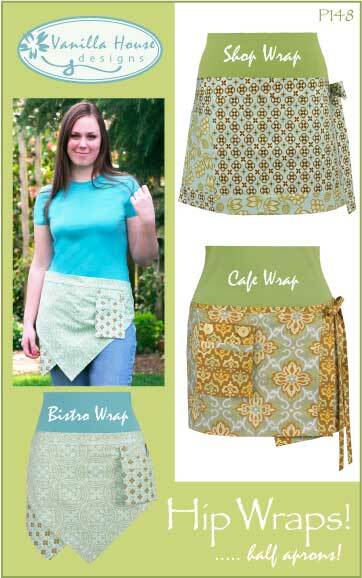 Our famous Pocket Apron with Easy Ruffles. 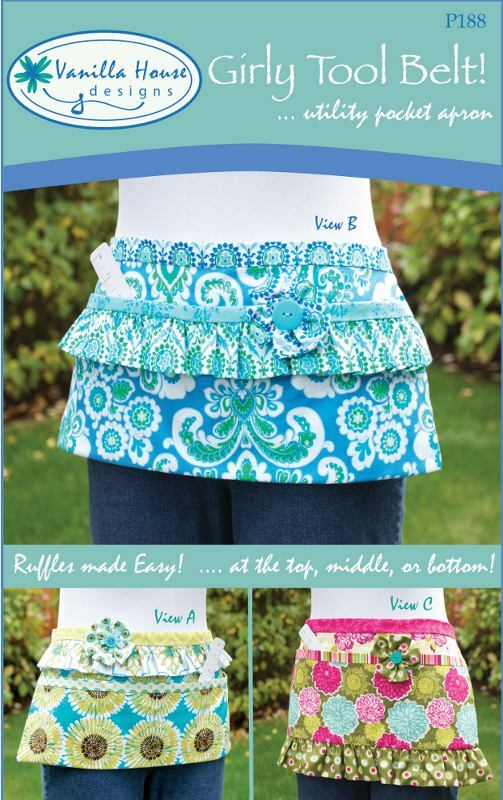 This pattern features Clover’s Fuse n’ Gather tape, making ruffles easier than ever! Three version included. 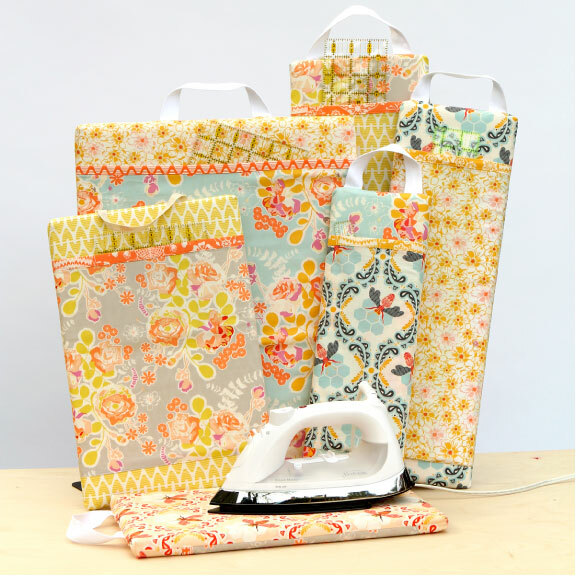 You have the option of using four OR five fabrics, depending on your preference for variety; and the option of using some fat quarters for convenience! Apron is 20 to 22 inches wide, by 9 to 11 inches long. 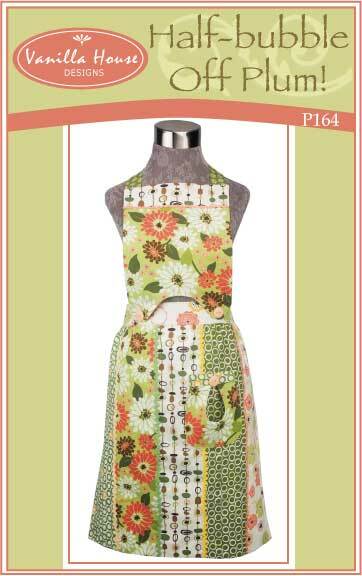 Using six different fabrics, you can create this amazing work of art to wear in the kitchen! Your friends will think you really know what you’re doing OR that you are a ‘half-bubble off plumb‘! 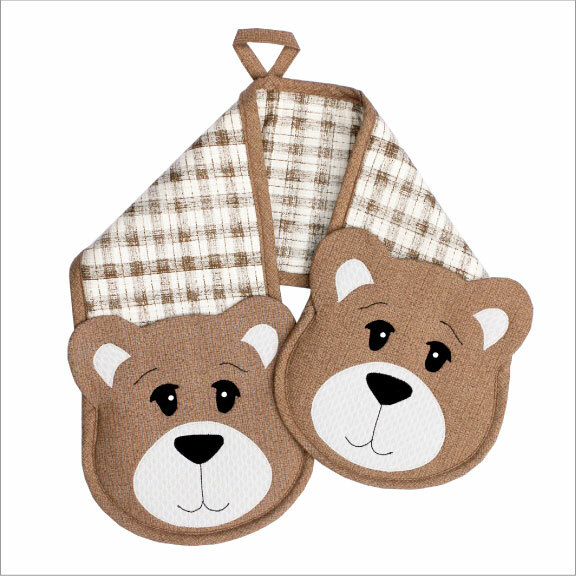 Use as a half apron or attach the bib! 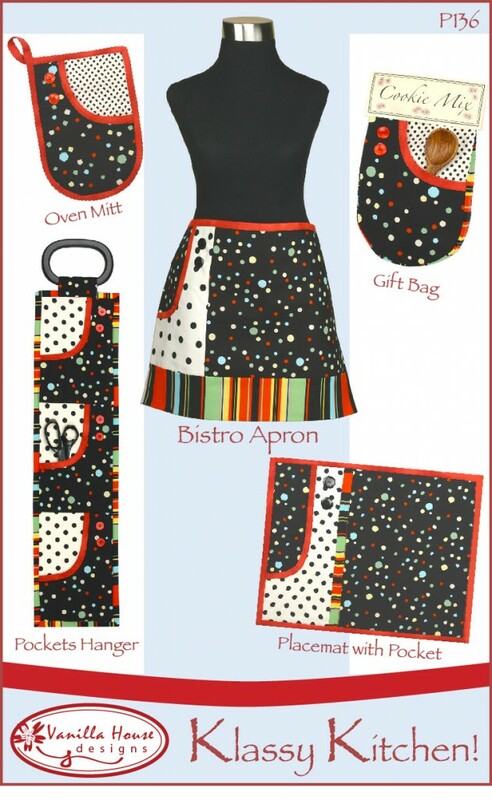 Decorate your kitchen in style with Klassy Kitchen’s placemat, oven mitt, pockets hanger, and apron. Or give a gift of Chocolate Chip Cookies in the Cookie Mix Gift Bag with a pocket to hold a spoon or gift card. Pattern includes the recipe for a Chocolate Chip Cookie Master Mix. 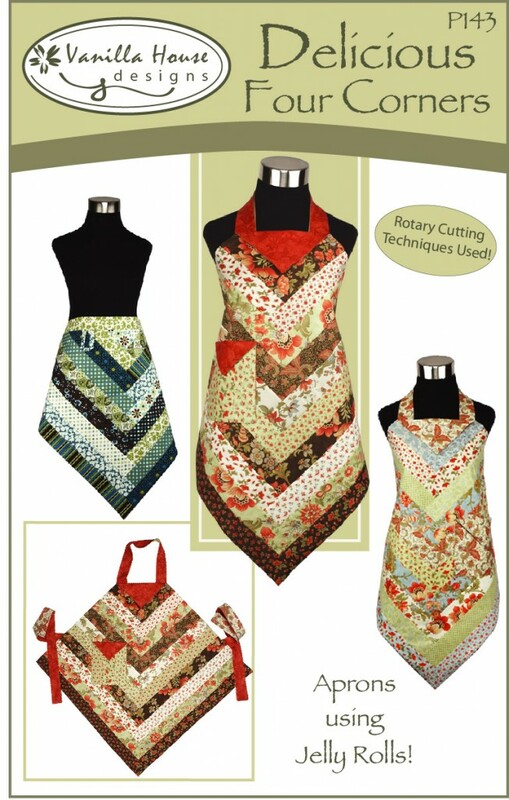 These three aprons are replicas of vintage apron styles found only in antique shops. 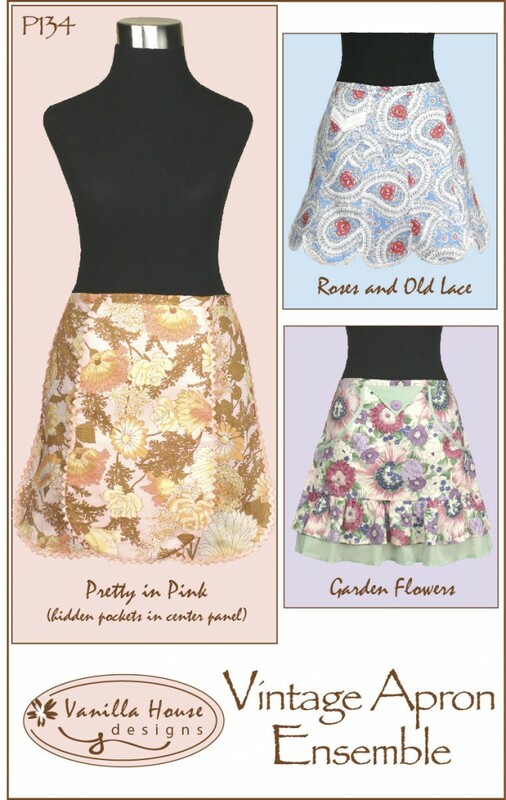 Suggested fabrics – voile, lawn, or very lightweight fabrics. Please see Ordering info about ordering this product. 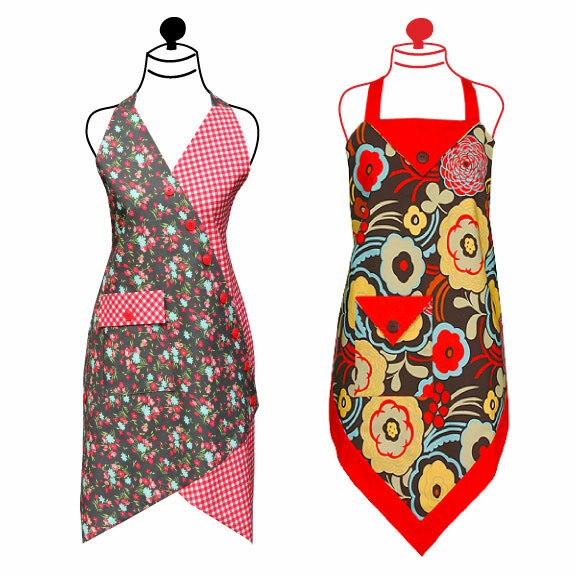 Three fantastic bistro aprons with great American fabrics. Impress your friends when they see you have style! One size fits all! 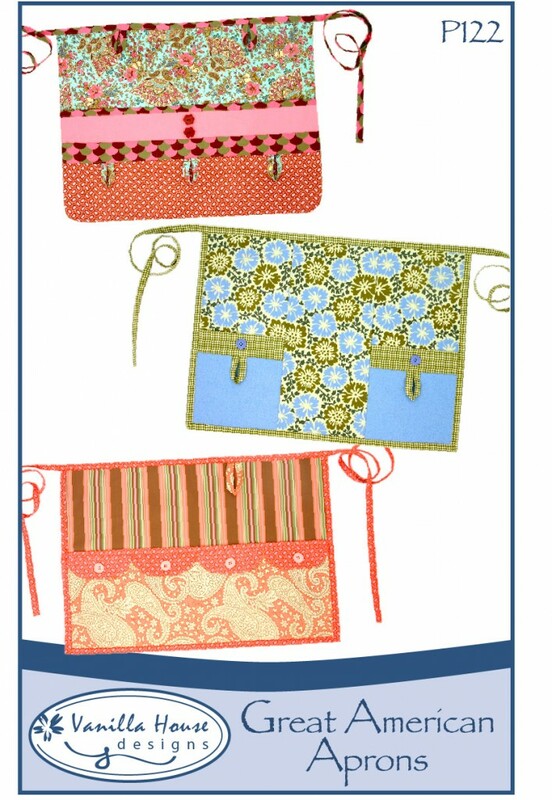 Stylin’ four-pocket aprons for anyone wanting to organize their daily tasks. 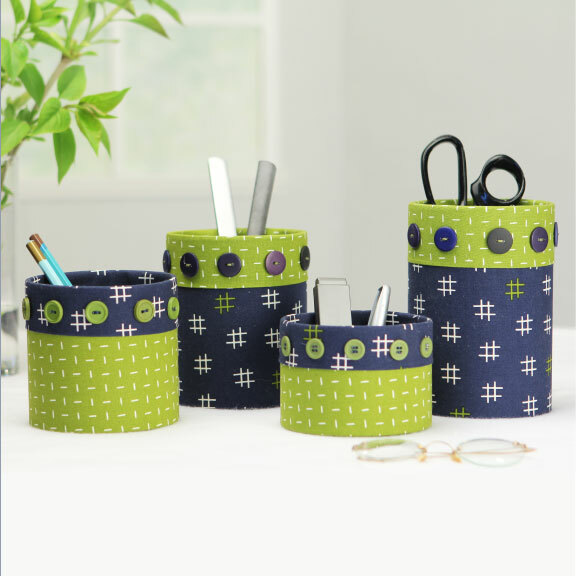 Great for school teachers, homemakers, store clerks, waitresses, vendors, etc. A kid’s size too! 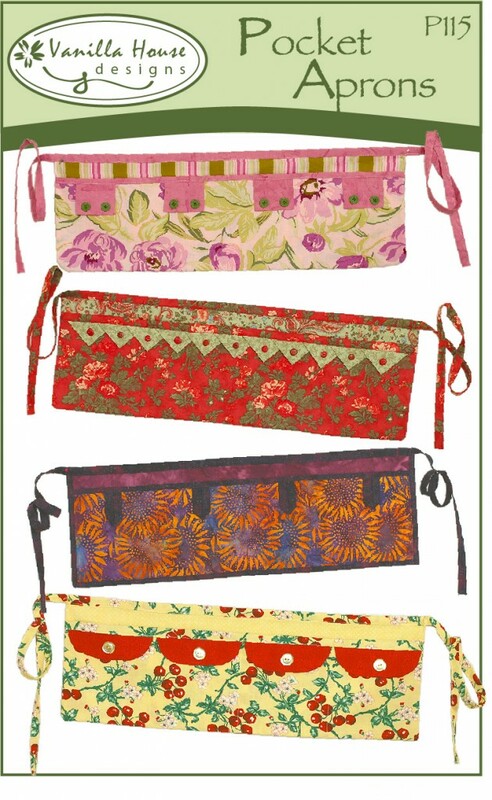 You may alos be interested in a newer, similar version of this pattern, the Girly Toolbelt.